How To Correctly Measure For Replacement Doors | 41 Lumber - Serving Iron Mountain and the U.P. 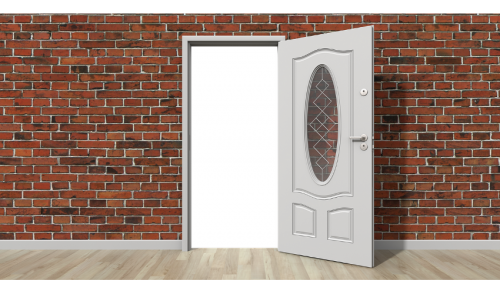 Looking to upgrade your exterior steel door to a more energy efficient fiberglass or solid wood door? Or perhaps you want to replace the composite interior doors with a higher-grade wood door. Or maybe you need a new patio door to access your new deck. How do you go about taking the measurements? For patio doors, take measurements from inside the doorframe. Sliding glass doors come in standard widths of 5, 6, 8, 9, 10, 12, and 16 feet. Standard French doors come 6 feet wide with optional side lites. Standard height is 79.5 inches. When measuring for entry and interior doors, you’ll need three measurements. Accuracy is very important. Measure the width and height of your old door and round this number up to full inches. As an example, you would round up a measurement of 79.5 inches to 80 inches. Next, measure the jamb width. Measure from the back of the interior trim to the back of the exterior trim. An accurate measurement here means your new pre-hung door will fit flush to the wall without jamb extensions.